If you are arrested for a criminal offence, then you should be cautioned immediately. The usual caution is "You do not have to say anything, but it may harm your defence if you fail to mention when questioned something which you later rely on in court. Anything you do say will be given in evidence." Once you are under caution the police are entitled to interview you, but you do not have to answer their questions. You do have a right to have a solicitor present during any interview and it pays to use this right. Sometimes saying nothing can be the wrong thing to do. If you attend a police station as a volunteer, then you can be interviewed under caution, but you are not compelled to remain (unless arrested). In each case you are entitled to representation by a solicitor. You will be advised of that right by the custody sergeant. If you do not know of a solicitor, then Duty Solicitors are available and are on call 24 hours a day, so you can always have a solicitor present, no matter what the time of day or night. You are entitled to have someone advised that you have been arrested and to speak to a solicitor, certainly on the telephone at least, and at later stage be represented. Also, you will be allowed to read the codes of practice, which govern how you are treated while you are at the police station. 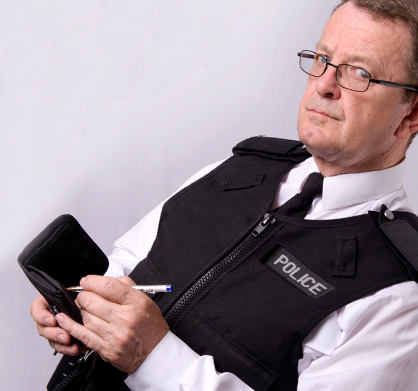 Once at a police station you are entitled to a solicitor, free of charge. If you do not know one, then one will be found . If you are charged or summonsed to attend court, you may be entitled to legal aid. We can advise you further about that. If you are under 18 and you have been arrested for an offence, the police will need someone to act as an Appropriate Adult. They are there to ensure that your rights are protected, that you are treated fairly and that there is balance in the overall process, and simply for support. If there is no parent, or sibling available, Social Services will step in, but that causes delay. Anyone that you trust can be an Appropriate Adult - they just must not be a witness to what has occurred.